Hulu is a place where everybody can find what they like, such as movies, TV series, shows, music concerts and more. You can enjoy the videos online while others may prefer to download the videos to put into portable devices and watch them on the go. However, a problem comes out here. You may run out of room for too many videos on your portable devices. Maybe one solution is to convert Hulu to MP3 in order that the devices can hold more interesting content. Another reason for Hulu to MP3 conversion may due to the video content itself. 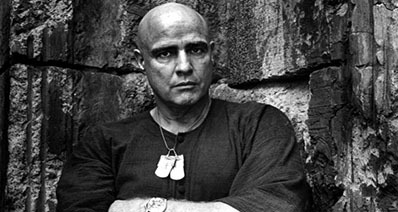 For example, the downloaded Hulu videos may be music concerts, musical and more, in which beautiful tunes matter more. Here presents two ways to download and convert Hulu to MP3. Follow us and check them out. This method is a way to convert Hulu to MP3 directly while playing the videos online. 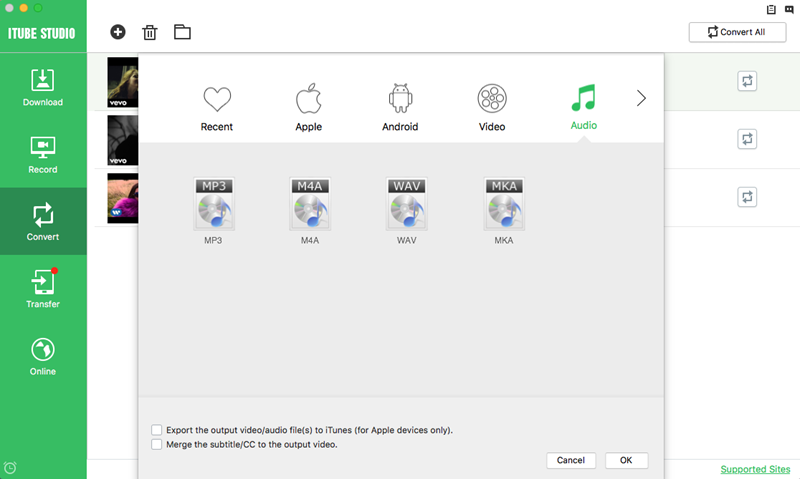 What you need is Wondershare Streaming Audio Recorder. Download this program from their official website and install it to get ready. Run this program after installation and click the "Record" button on the top left corner of the program. Then go to play a Hulu video. As long as there is sound from your computer, this program can record it to MP3. Very easy, right? Note: Find the downloaded Hulu MP3 in the Library and you can make ringtones out of them. That means you can select any part at will. With this method, you can get Hulu videos and MP3 at the same time. iTube Studio is right here to help. Go to a browser (e.g Firefox, IE or Safari) to enter hulu.com. 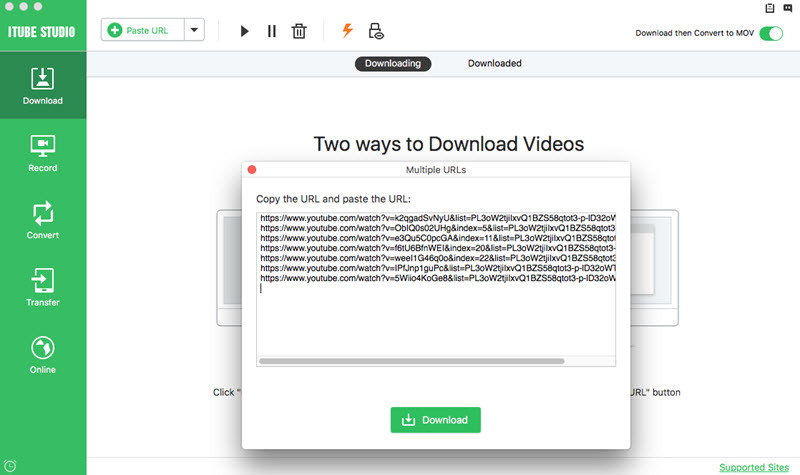 Just copy the URL of the Hulu video that you want to download from the address bar and click the "+ Paste URL" button on the "Downloading" window of iTube Studio. Hulu videos are downloaded, now it’s time to convert them. 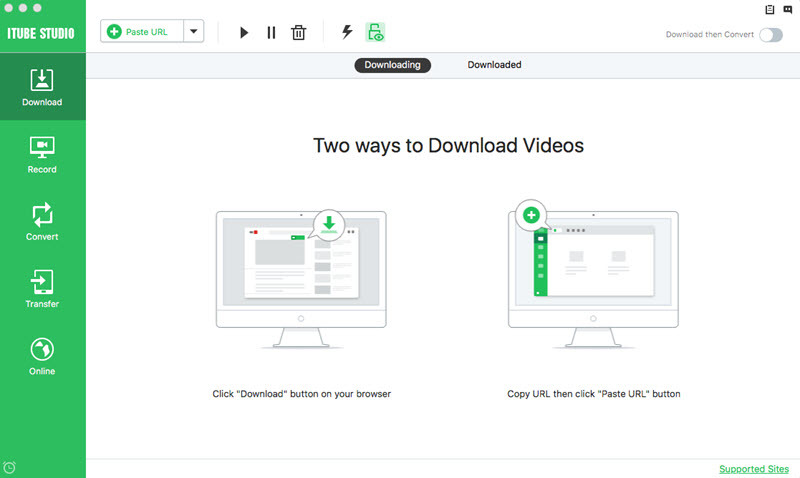 Find videos in the "Downloaded" library, then click "Convert" button beside the video. An output format window will prompt you. Choose MP3 and click "OK", then all is done. Which of the above two ways is your favorite one? It all depends on what files you want. Need audio file only, choose method 1. If you want both audio and video files, method 2 would be more suitable. What's more, iTube Studio is an one-stop video downloader, converter, recorder as well as player. In view of that, I prefer iTube Studio than Streaming Vudio Recorder. You're very welcome to leave your comments below as well.